Pacific Capital Bancorp executives are calling a $500 million recapitalization agreement with Texas-based Ford Financial Fund a done deal. The Ford infusion, critical for the banking company to meet regulatory standards for capitalization, now has the cooperation of the U.S. Treasury and, pending regulatory approval, will likely be finalized by Aug. 31, Santa Barbara-based Pacific Capital said on July 27. 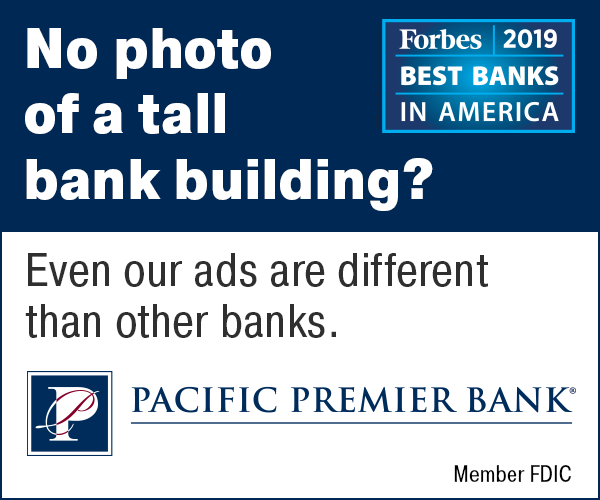 In a sit-down interview with the Business Times, Pacific Capital executives, flanked by members of Texas banker Gerald Ford’s team, spoke candidly about their plans for the region’s largest independent bank. “I can look you in the eye and tell you that we’re on tap for this to close,” said Carl Webb, who operates Ford Financial Fund along with Ford. Their company stands to own about 86 percent of the bank. Pacific Capital executives were triumphant and a little relieved on July 27. CEO George Leis said he told employees at a companywide meeting that “it’s done,” that the firm is “getting off the sidelines” and ready to get “back in the business of banking” as it gears up to start lending again. “This is a big day for us,” said Debbie Whiteley, the bank’s executive vice president of corporate communications. On the same day, the bank reported a $61 million second-quarter loss, on top of an $81 million first-quarter loss, but its soon-to-be owners are already setting their sights on growing the franchise. Webb, who said the bank will be “profitable on Day One” of Ford ownership, said his firm would like to use it as a platform to make more acquisitions. Survival, not growth, has been the Pacific Capital mantra for more than a year as it struggled with multi-million-dollar losses and low capital levels. The bank is under a regulatory deadline of Sept. 8 to increase capital or potentially face liquidation. Under the May consent order from the Office of the Comptroller of the Currency, Pacific Capital must boost its tier one leverage ratio — its capital divided by its assets — to 9 percent and its risk-based capital ratio to 12 percent. At the end of the second quarter, the bank’s ratios were 4 percent and 9.5 percent, respectively. The bank said in a July 27 statement that it expects the $500 million investment from Ford to be more than enough to boost capital and satisfy regulators. The terms of the Ford deal, which was first announced in April, suggest that a lot of behind-closed-doors gamesmanship has gone on over the past several months as the private equity firm and the bank tried to get shareholders, bondholders and the U.S Treasury to cooperate. Under the agreement with the Treasury, the transaction would translate the $180.6 million in Troubled Asset Relief Program funds the bank took on at the height of the financial crisis into preferred stock at a 37 percent exchange. Including $13.5 million in accrued dividends, the Treasury’s $194.1 million converts to about $71.8 million. It is anticipated that the preferred stock held by the Treasury will convert into common stock after the deal closes, with an initial conversion price of 20 cents per share. After the transaction, the Ford group will likely own about 86 percent of the bank, with the Treasury owning 12 percent and shareholders the remaining 2 percent. Under a rights offering announced in late April, shareholders of record the day before the deal closes will be able to buy equity at the same 20-cents-a-share price as Ford. The proposal means that shareholders — who have seen prices go from more than $30 a few years ago to the 60-cent range this year — could have up to 20 percent ownership in the fully diluted bank. Shares were up about 40 percent to $1.23 on July 27 after the bank said it had cleared the Treasury hurdle. The Nasdaq stock exchange has granted Pacific Capital a shareholder approval exemption, so shareholders no longer have to approve the deal. It will also get done without the cooperation of the bank’s remaining bondholders. Debt holders can still choose to cash out at 40 cents to 65 cents on the dollar under a new Aug. 27 deadline, but with the Treasury playing along, the deal is only waiting on the green light from regulators at the Federal Reserve and the OCC. Regulators may also be eager to bless the transaction because Ford’s company was the first private equity group to receive a “shelf charter” — blanket preliminary approval for the non-bank group to buy a troubled financial institution — when the program was launched in 2008. The Ford group is still one of only a handful of firms in the country with such a charter. Ford, a 65-year-old Texas billionaire, has a history of buying troubled banks and turning them around. He and his partners purchased their first bank in 1975 for $1.2 million and later sold it for $100 million. He made a fortune from the ashes of the savings and loan crisis, scooping up a handful of California banks to assemble Golden State Bancorp, parent company of the CalFed system, which he sold to Citigroup in 2002 for $6 billion. Ford Financial Fund is controlled by Ford and Webb. Their company’s shelf charter means they have been able to scour the country for the past few years, looking for a struggling bank to buy and turn around. Along with new Texas parents, Pacific Capital also has a new face in its executive suite. Goldman Sachs Bank veteran Mark Olson, 42, was hired recently as chief financial officer, taking over from Don Lafler, the bank’s interim CFO since former executive Stephen Masterson resigned in March. Olson will be charged with nursing Pacific Capital back to health, as the company has experienced more than $562 million in losses since the beginning of 2009. Webb said his company is thinking about the long term. 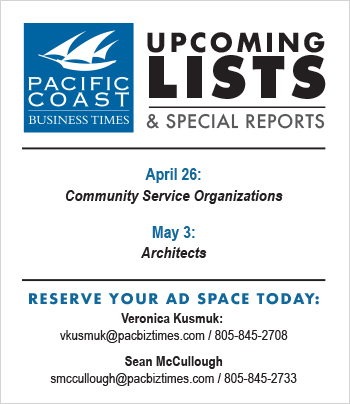 The Pacific Capital brand will continue to be consumer-oriented, Webb said, but it will be leaving a larger footprint in the Tri-Counties. With more than 30 branches in the Tri-Counties, the parent company of Santa Barbara Bank & Trust is already the largest independent banking company in the region. 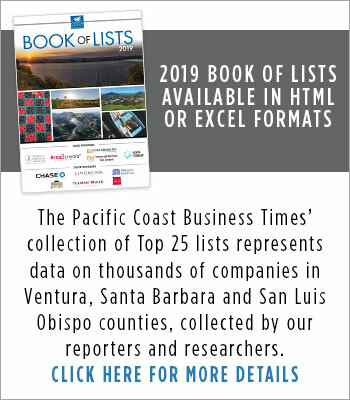 Although management will stay in place and Pacific Capital will remain a Santa Barbara-based firm, the bank will look very different five years down the road, Webb said. “We’d like to be very acquisitory for growth,” he said. Leis suggested that the bank is already sizing up opportunities to grow in Ventura County. The bank had $1.6 billion in cash and other unpledged liquid assets at the end of the second quarter, money that Leis said the company will soon be ready to deploy. “We’re going to be lending again,” he said. Bill Watkins, the chief economist at California Lutheran University in Thousand Oaks, said Ford’s investment will be a step forward for the tri-county economy.